Like many of us, I was inspired by Lisa Eldridge's video this spring to dip my toe into the world of orange lipsticks. Lisa confidently reassures us in her video that literally everyone can wear an orange lip, it's just a matter of which one. With that in mind, I thought I would share my top five favorite orange lips of the moment. These shades run the gamut from pigmented, opaque lipsticks to sheer glosses. The variety of shades and finishes allows me to find something to suit my mood (and my fair, cool skin) no matter what! Chanel Rouge Allure Excentrique: This is probably the most bold and 'out there' shade of the five. It is bright and most definitely a true orange. When I wear this, I keep the rest of my makeup super simple, focusing on building up my lashes and dusting my cheeks with a touch of bronzer. I love the formula on this--it is a soft matte that is surprisingly comfortable to wear. Tom Ford Wild Ginger: This is easier to wear (at least for me) than Chanel Excentrique, as it is an orange-red, rather than a true orange. Wild Ginger also has a formula that I find comfortable and easy to wear. If I am feeling extra fancy, I'll throw on a lip liner before applying this. But just as often, I skip the liner and it still lasts on my lips without feathering. Maybelline Color Elixir Mandarin Rapture: This is a fantastic drugstore product that offers great pigmentation plus shine. The shade is another true orange, but it is less bright than Chanel Excentrique. 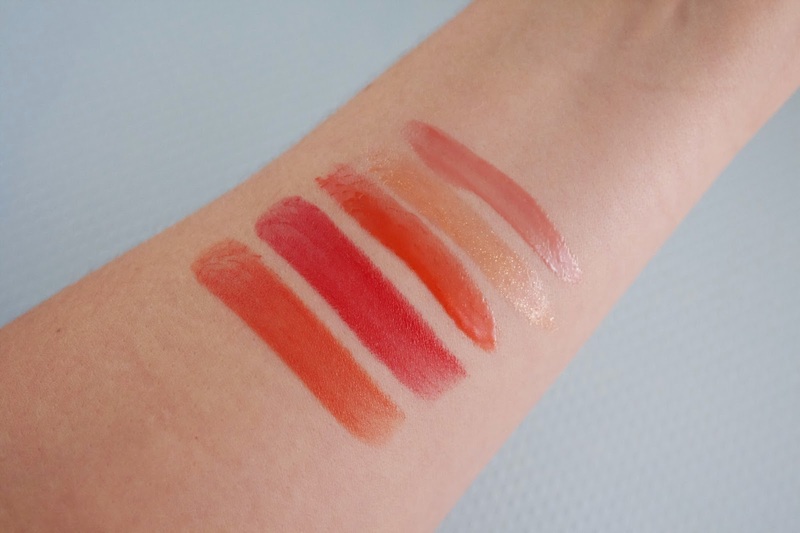 Le Metier de Beauté Orange Juiced: This is a sheer lipgloss, so I would skip this if you are looking for something that packs a lot of color. It does leave a beautiful shimmer on the lips and just a hint of color. Urban Decay Naked Gloss Streak: Like the Le Metier de Beauté, Streak is a fairly sheer color. It has a cream finish, rather than a shimmery one, though! It is also the most pink of the lip colors listed here, but it still has orangey coral undertones. Another one to skip if you're looking for a lot of color, but it's an easy option to throw on during the summer. 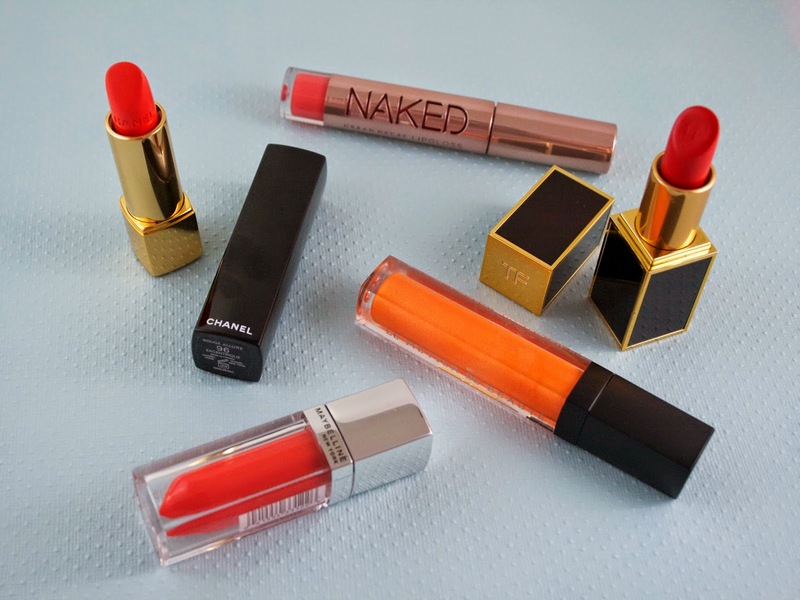 What are your favorite orange lipsticks & glosses. Have you been brave enough to try them? Don't forget to follow me on Bloglovin, Twitter, and Instagram!